Another of Steve's passions is motorcycle riding. Last year he was given the chance to try Flat Track Racing and loved it. 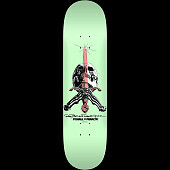 This Funshape deck celebrates Steve's latest fun adventure. 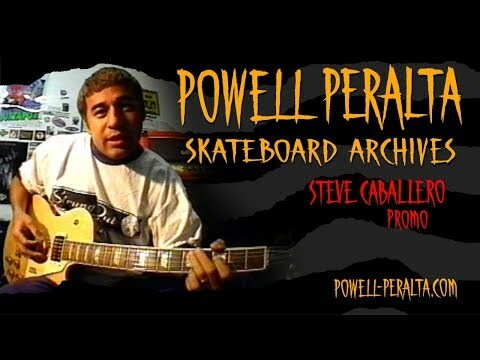 Q: What's up with the Powell-Peralta Funshapes? A: We wanted to try something different. 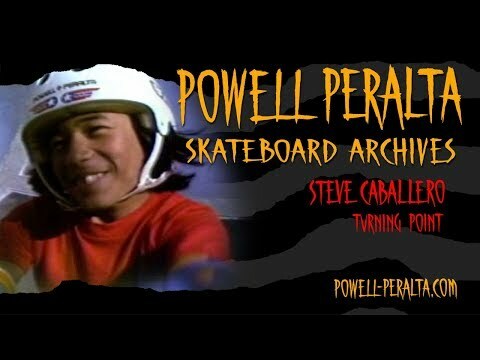 A lot of us were bored with the popsicle shapes, and if you don't skate switch- why ride one? 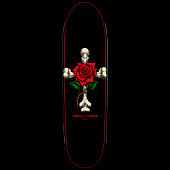 We just wanted to try a fun shape with the sizing and functionality of present day skateboarding. Q: Why the extra truck holes? 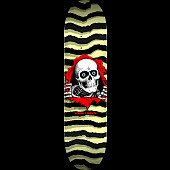 A: We make skate products with all ages of skateboarders in mind. When the first Funshapes were sampled, we had a 14.25" wheelbase on it. A few of our older skaters loved these new shapes, but asked about having a larger wheelbase. So we decided to have the double truck holes to stoke everyone out. 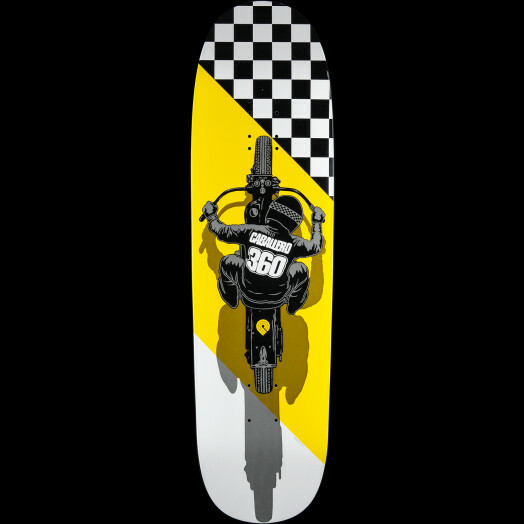 All the Funshapes come with a 14.25" and 15" wheelbase. Q: Anything else you want to mention? A: Grip em and rip em. 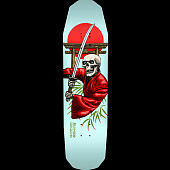 Powell Peralta® decks are made in the USA at our own skateboard manufacturing factory in Santa Barbara, CA using U.S. hard rock maple, AirLam fused with Type 1 glue and are warranted against delamination for their useful life.